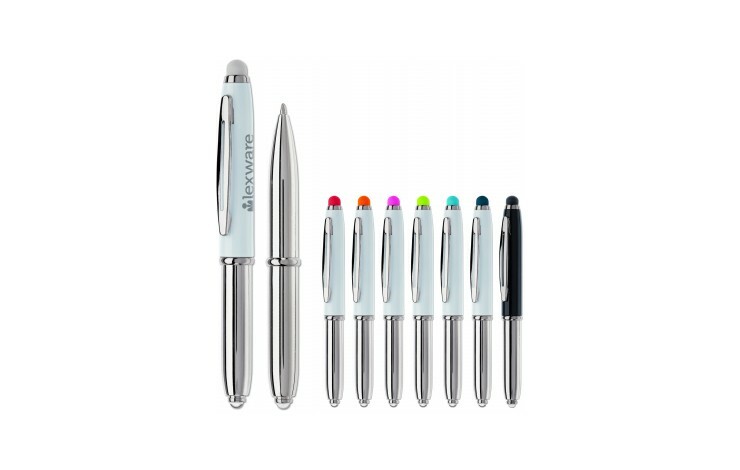 Our custom printed Shine 3 in 1 Pen is the ultimate pen for your every need! 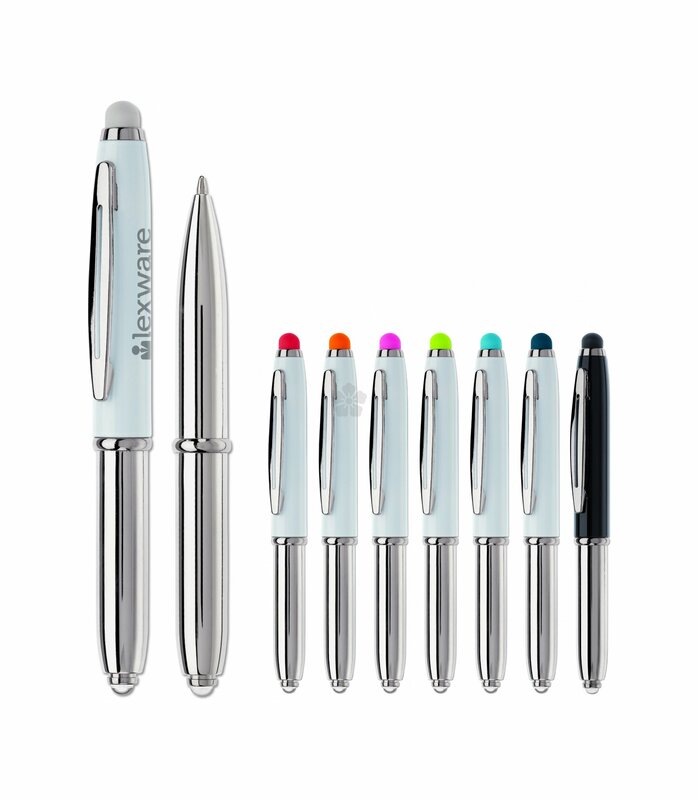 With a soft stylus perfect for use with smartphones and tablets, this ballpen also features an LED light. The shiny chrome body and trim gives a smart finish with your design printed in 1 spot colour to the cap, as standard. Blue ink refill.